Jennifer was born and raised in Hampton, Virginia. She graduated from Old Dominion University with a Baccalaureate degree. Originally licensed in Virginia, she has been practicing since 2007. 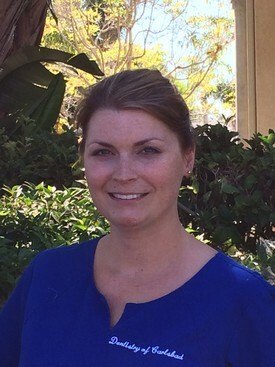 Jennifer moved to Oceanside in July 2013. Her husband is an active duty Navy aboard Camp Pendleton. Jennifer enjoys spending time with her two children and her two little dogs. She also likes to read and enjoys trying new restaurants around San Diego. Dr. Hsu went to the University of California, Berkeley for her Bachelors in Economics. She then went to the University of California, San Francisco for her Doctor of Dental Surgery. After practicing General Dentistry for 4 years, she went back to University of California, San Francisco for Postgraduate in Periodontics. Dr. Hsu is a member of American Academy of Periodontology, California Society of Periodontist, California Dental Association, American Dental Association, Academy of General Dentistry, and Tri-County Dental Society. Dr. Hsu received CSP Robert L. Merin Leadership Award, California's Outstanding Resident in April 2012, Fellowship from International Congress of Implantology in May 2008, and Academic Merit Scholarship in January 2002. Dr. Hsu is happily married. Her spouse is a Pedodontist. She speaks Mandarin Chinese fluently.